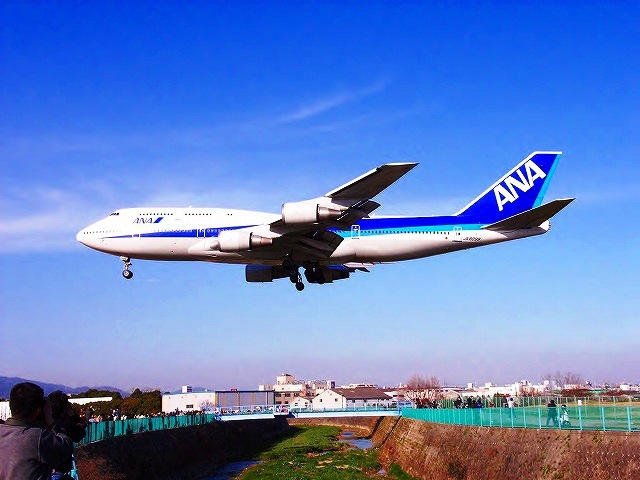 Here is a famous photo spot next to the Itami(Osaka )- Airport. 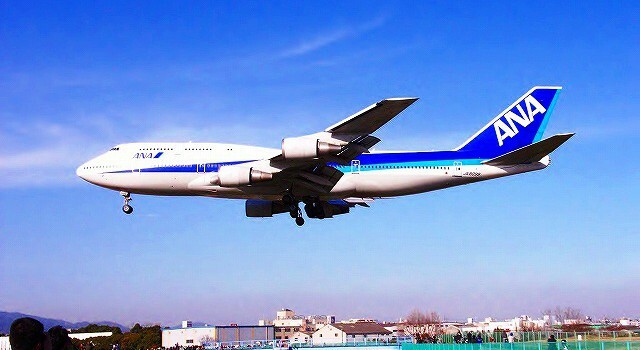 This aircraft is a Boeing747-400 (NH,ANA,All Nippon Airways). Now, B747 can’t land at this airport ,due to the revision of the noise regulation.